New Delhi, May 31, 2017 : Petrol price was today hiked by Rs 1.23 per litre and diesel by 89 paise a litre in sync with rising international fuel rates. 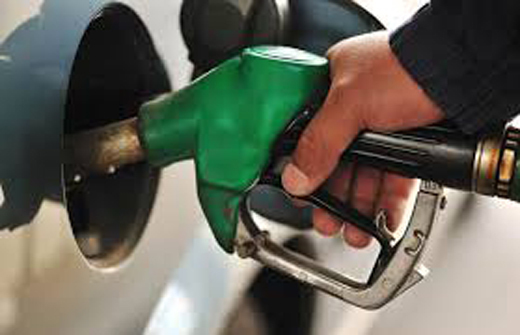 The increase in price, effective midnight tonight, comes on the back of a Rs 2.16 per litre cut in petrol and Rs 2.10 a litre reduction in diesel prices effected from May 16. Petrol price in Delhi will cost Rs 66.91 per litre from tomorrow as against Rs 65.32 a litre currently. Similarly, a litre of diesel will be priced at Rs 5.94, as compared to Rs 54.90 at present. Announcing the price hike, Indian Oil Corp (IOC), the nation’s largest fuel retailer, said the rates have been hiked excluding local state levies or VAT and actual increase will be higher depending on tax rate.